Lead Project PI: Charles Henderson, PhD, is an Associate Professor at Western Michigan University (WMU), with a joint appointment between the Physics Department and the WMU Mallinson Institute for Science Education. Much of his research activity is focused on understanding and improving the slow incorporation of research-based instructional reforms into college-level STEM courses. Research projects have attacked this problem from several directions: in-depth studies of faculty attempting to change their instruction, surveys and interviews with faculty related to their interaction with research-based instructional strategies, and an interdisciplinary literature review of change strategies in higher education. Henderson is the senior editor for the journal Physical Review Special Topics - Physics Education Research as well as a member of the National Research Council Committee on Undergraduate Physics Education Research and Implementation. 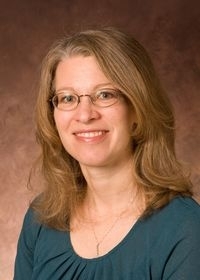 Project PI: Dr. Renee Cole is an Associate Professor of Chemistry at the University of Iowa. Dr. Cole earned a B.A. in chemistry from Hendrix College, and M.S. and Ph.D. degrees in physical chemistry from the University of Oklahoma. Her research focuses on issues related to how students learn chemistry and how that guides the design of instructional materials and teaching strategies as well on efforts related to faculty development and the connection between chemistry education research and the practice of teaching. She is actively involved in the POGIL (Process-Oriented Guided Inquiry Learning) project at a national and international level, serving on the steering committee and conducting workshops and seminars around the United States and in Australia. 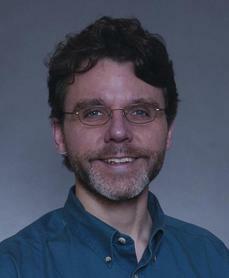 Dr. Cole is also an associate editor for the Journal of Chemical Education. Project PI: Dr. Jeffrey E. Froyd received the B.S. degree in mathematics from Rose-Hulman Institute of Technology and the M.S. and Ph.D. degrees in electrical engineering from the University of Minnesota, Minneapolis. He is a TEES Research Professor in the Engineering Student Services and Academic Programs at Texas A&M University, College Station. 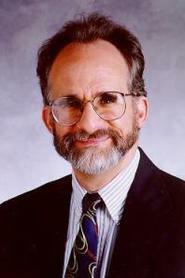 He was Professor of Electrical and Computer Engineering at Rose-Hulman Institute of Technology. He served as Project Director for the Foundation Coalition, a National Science Foundation (NSF) Engineering Education Coalition in which six institutions systematically renewed, assessed, and institutionalized innovative undergraduate engineering curricula. He has authored over 70 papers on faculty development, curricular change processes, curriculum redesign, and assessment. Graduate Research Assistant: Raina is currently a graduate research assistant pursuing a PhD in Science Education: Physics at Western Michigan University. She holds bachelors degrees in Physics and English from Hope College and a masters degree in Physics from Western Michigan University. 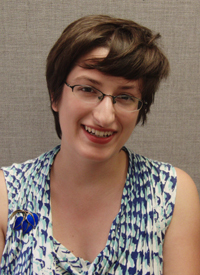 She has worked previously as an assistant editor for the online magazine Physics to Go and interned at the American Physical Society and the Center for History of Physics. Graduate Research Assistant: Courtney earned a Bachelors of Science at Rochester Institute of Technology and a Masters in Organic Chemistry from the University of Connecticut. Now she is working on a Ph. D. in Chemistry Education from University of Iowa. She is currently working on the Increase the Impact project and her second project focuses on using Toulmin analysis to analyze students' understanding of physical chemistry. MJ Innovations, LLC. : Debbi (Gilbuena) Friedrichsen, PhD owns a consulting company where she works with small and startup companies providing engineering and business strategy consulting. She received her Ph.D. from Oregon State University in Chemical Engineering with a dissertation focused on engineering education. Debra has an MBA, an MS, and 4 years of industrial experience including a position in sensor development, an area in which she holds a patent.